3-point locking system with keyed handle. Cabinets are heavy duty 14 gauge construction and feature 2 adjustable shelves and louvered panels on doors for use with bins included. Doors have fully welded piano hinges and can hold up to 650 lbs. (weight evenly distributed). 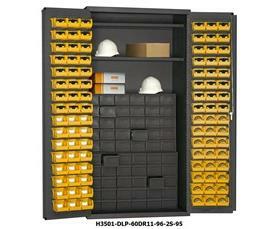 96 Hook-on Bins® are also included. 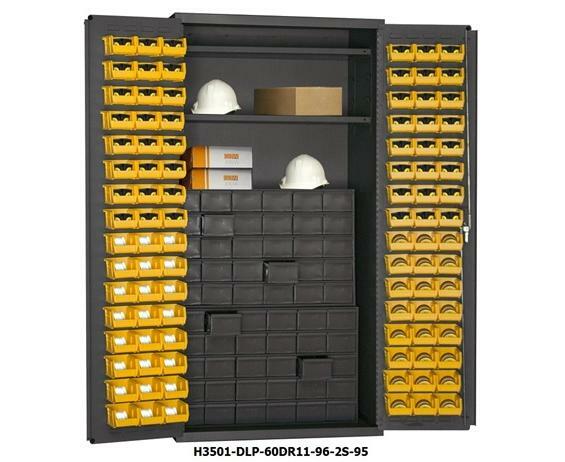 H3501-DLP-60DR11-96-2S-95 comes with 60 Jumbo, 3-1/2" H drawers, each with 2 dividers adjustable on 1" centers (extra dividers are available). 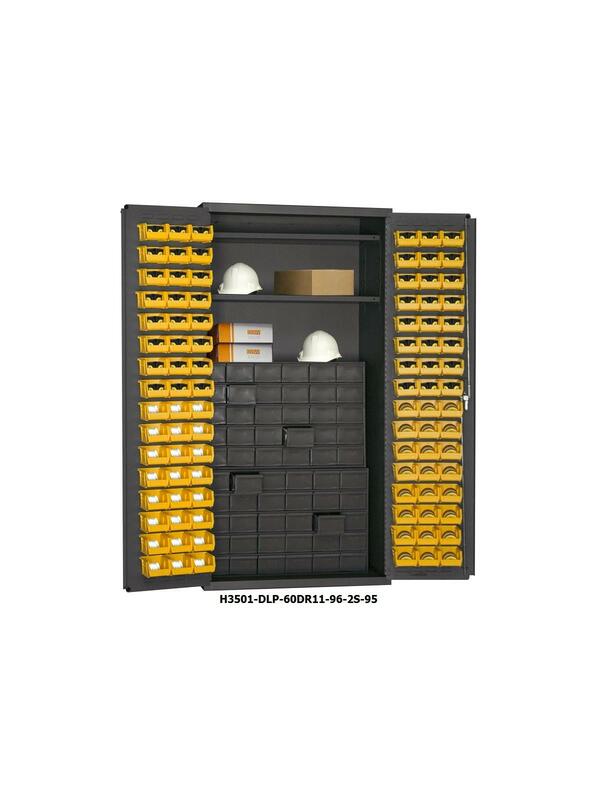 H3501-DLP-72/40B-96-95 has 12" deep, 112 pigeon hole bins enclosed - perfect for storage of fasteners, high value small parts and more. Available in Gray powder coat finish. Ships fully assembled. FOB Shipping Point.